The geospatial landscape is evolving fast. This evolution evokes rapid data and software change and modification. And constant modifications takes time, money, and know-how. Founded on the principles of science, not economics, our GIS experts started NextGIS, Ltd. in an effort to help businesses affordably eliminate these data software growing pains; by offering clients free integrated open-source spatial software, backed by customized GIS solutions, professional ongoing support, and comprehensive training, NextGIS is able to increase software longevity and functionality, which ultimately decreases future expenses. A full-service company, NextGIS’ experts will develop the foundation on how to think about, evaluate, apply, and modify open-source geospatial software in your organization. 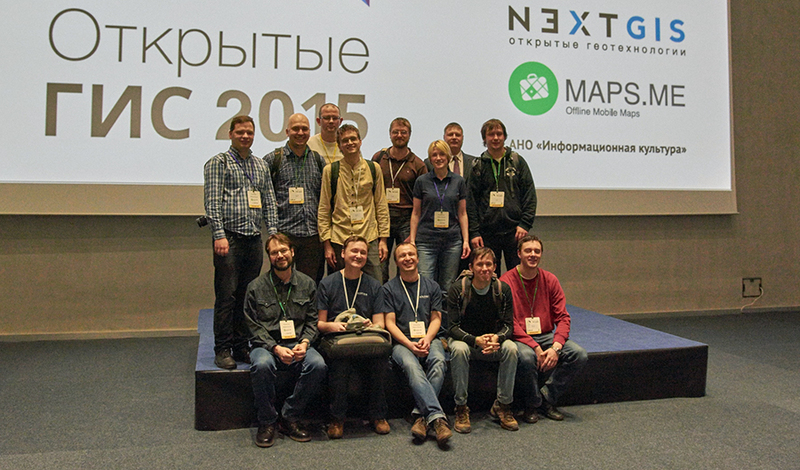 One of the first to offer GIS open-source spatial software in Russia, NextGIS has expanded its services to the global market, with our participation in the open GIS development process highly graded by the international community. In addition, tight collaboration with a broad group of international specialists such as GIS-Lab.info, allows our team of developers to stay on the cutting-edge of technology and ensures that our results receive maximum coverage, ultimately helping us put our clients in the forefront of their industries. Our specialists are highly skilled scientists who have more than 10 years experience with GIS in general, and open-source GIS in particular. We know how to solve practical problems, and love to share solutions with the community. We are particularly interested in openness and believe that it ensures success. In addition to development and documentation, we reinvest in the projects around which we build our business. Donated funds are channeled through NextGIS and are used to benefit the projects we support.